I know I generally don’t write about movies on my blog, but the original Beauty and the Beast is one of my favorite Disney films from my childhood. So I found it only fitting to write a review of this new adaptation that’s hit the big screen. Released in 2017, Beauty and the Beast is centered around a young eccentric girl named Belle and the habitants of an enchanted castle. When the Beast in the castle takes Belle’s father as his prisoner, Belle takes her father’s place to live out the rest of her days in the castle. At first she finds the Beast unruly but as time continues on, she begins to see the Beast for the human he really is. 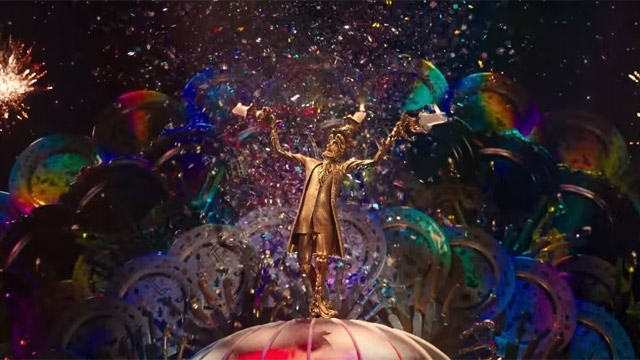 This adaptation of Beauty and the Beast is equal parts fantasy and musical, which is one of the things I love about this adaptation of the original fairy tale. The fantasy elements are especially brought to life with the spell the Enchantress put on the castle and it’s inhabitants. All of the characters who live in the castle have been transformed into different household objects that can be found in a castle while the Prince is changed into a hideous Beast due to his horrible treatment of a woman whose appearance was very deceiving. The rose also held a special significance to this because if the Beast didn’t learn to love and be loved in return by the time the last rose petal fell, he and the other inhabitants would be stuck the way they are forever. Of course, you already know this if you’ve seen the original film, but I really find it to be a good example of how fantasy comes to life in this story. Another element I’ve enjoyed from this adaptation is all of the musical numbers, both familiar and new. The songs that they included from the original made me feel nostalgic, like I was traveling back to my childhood. It was nice because it made the movie that much more enjoyable for me to watch. But I also appreciated that they included some new songs too. I felt like it was a good way to remind the audience that this isn’t the original animated movie, that this adaptation of Beauty and the Beast was unique in its own way. I also found these new songs made the overall story that much more enjoyable to me. What I enjoyed the most about this film is the back story they give you about Belle and what happened to her mother. As a part of the audience, your never told exactly what happened to her mother, but are shown throughout the movie what happened as if you are right there when the chain of events unfold. They also do this in the beginning of the film too when the Beast is still the Prince. They show him not accepting the Enchantress into his castle and you watch as he and the rest of the crew transform. But they also tell you a little bit about what happened to the Beast’s mother too to give you an understanding of his character. I love that they added this background information for the characters because this information was never given in the animated film. 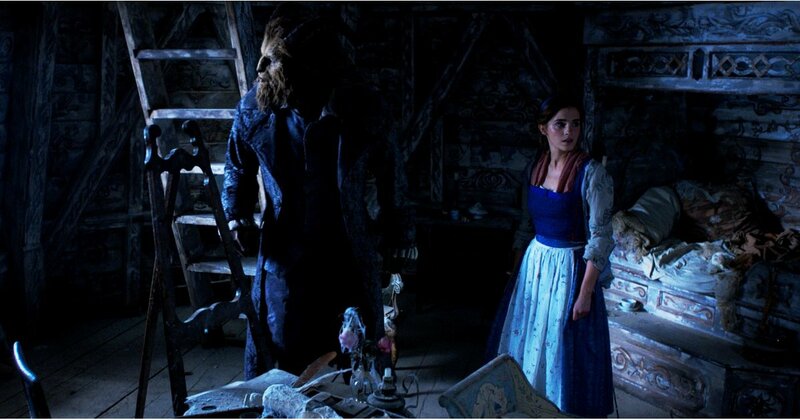 One of my favorite things about this movie is seeing the Beast and Belle fall in love. The reason I love their romance is the overall message the story tells about love and appearances. It’s the message not to judge by appearances, that looks aren’t the best to look for in a life partner and that you never know who you’ll fall in love with. This message is important because it’s the truth. You don’t know who you’ll end up falling in love with or what the person you’ll fall in love with will look like. So when looking for a partner, don’t look for appearances, see who they are as a person. The one small criticism I have for Beauty and the Beast is that there are some awkward pauses in the film, both in the dialogue and songs. I don’t know if anyone else has noticed them when watching but I did and they bothered me, for some reason. But other than that, I really enjoyed this movie so much. 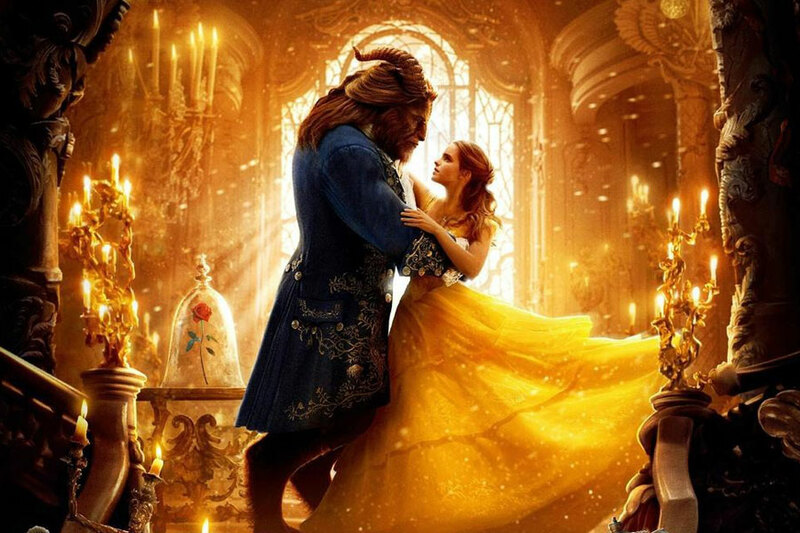 Seeing the Beast and Belle’s love story come to life on the big screen in real life filming was a nice breath of fresh air. I was not at all disappointed to see one of my favorite movies from my childhood brought to life and can’t wait to see it again soon. I really enjoyed every minute of it and was sad to see it all end.